Messenger BagsMarlborough of England Holdall Bags are designed for that Urban Street Style, to keep you on the move without feeling weighed down. HoldallsMarlborough of England Holdall Bags are designed for that Urban Street Style, to keep you on the move without feeling weighed down. 3oz Ladies Hip FlasksWe only use the finest polished stainless steel and leather to produce our English hip flasks and are the only company to offer a life time Guarantee on them. 4oz Ladies Hip FlasksWe only use the finest polished stainless steel and leather to produce our English hip flasks and are the only company to offer a life time Guarantee on them. 4oz Hip FlasksWe only use the finest polished stainless steel and leather to produce our English flasks and are the only company to offer a life time Guarantee on them. 6oz Hip FlasksWe only use the finest polished stainless steel and leather to produce our English flasks and are the only company to offer a life time Guarantee on them. 8oz Hip FlasksWe only use the finest polished stainless steel and leather to produce our English hip flasks and are the only company to offer a life time Guarantee on them. 6oz Hunter FlasksWe only use the finest polished stainless steel and leather to produce our English hunter flasks and are the only company to offer a life time Guarantee on them. 8oz Hunter FlasksWe only use the finest polished stainless steel and leather to produce our English hunter flasks and are the only company to offer a life time Guarantee on them. 10oz Hunter FlasksWe only use the finest polished stainless steel and leather to produce our Hunter Flasks and are the only company to offer a lifetime Guarantee on them. 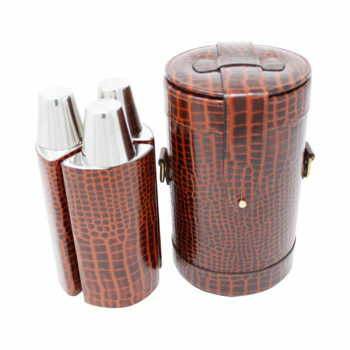 Leather Cigar CasesOur two finger leather humidor case is handcrafted in England from the finest leather. 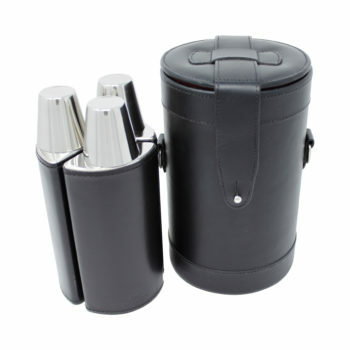 It has two polished aluminium tubes fitted to keep your cigars safe and secure while travelling. The aluminium tops are lined with sponge, which when dampened will keep your cigars fresh. Military Wet PacksOur range of military wetpacks are all designed by Marlborough of England and hand made in our workshop using the highest quality leathers, allowing for a lifetime of use. Home & OfficeMarlborough of England is pleased to offer a wide selection of products that will come in handy for both home and professional use. All of our items are hand-made by skilled craftspeople, using only the best quality leather, steel, canvas, and wood. Some of the items we offer include: Mouse mats for home computer systems Leather Kindle, iPad, and iPhone cases Sterling silver, monogrammed pens Desk blotters and travel trays Leather photograph frames Jewellery boxes and night trays Wallets, cufflinks, and belts Our products provide everything you could need for your home life and for use at work. Marlborough of England specializes in handmade quality items. We use high-quality English leather, and all of the work is done by skilled local artisans. Our goal is to provide you with products that combine both form and function. We deliver style and elegance with a quality to match. All of our products are durable, with an ultra-long lifespan. Marlborough of England takes great pride in being one of the top Luxury Leather Goods Manufacturers in England. Our products are Handmade in our workshop studio in Walsall, England, Home of the Leather Industry here in. Conference FolderBusiness meetings and presentations are just as much about how you present yourself as it is the material you present. You want to be professional, and you want to look prepared. Our luxury leather conference folder will help you in both of those areas. A typical folder is made from plastic or thin cardboard. That may suffice for casual use, but that important shareholder meeting is no casual affair. Marlborough of England’s conference folders, by contrast, are completely hand covered in suede for that luxurious look and soft-to-the-touch feel. The right side of the interior is lined with pockets for standard sized A4 paper, while the left has slots for storing important documents. There is also a smaller pocket for business cards. Our leather conference folders are designed to elicit awe. You’ll get a silent nod of approval when you pull out your folder to hand out documents or proposals. It especially makes for a good first impression when presenting in front of high stakeholders and high profile investors. Desk BlotterYou likely spend a good deal of your day jotting down notes on that stick-it pad, or doodling caricatures of your co-workers. Regardless, all that writing can cause superficial scratches on the table. A desk blotter protects the surface from minor but noticeable nicks and dents. Marlborough of England’s leather desk blotter does a whole lot more than just protect your desk. It’s a highly lavish decorative piece. It adds an aura of high class to your desk even if your workstation is a cramped cubicle. Our blotter is made by hand and completely bound in leather. The pad is lined with Nubuck, and its surface is soft to the touch, yet firm enough for writing. The leather is of the highest quality and will not leave marks or creases even if you place heavy items like a computer monitor on top of it. Your office desk can be generic and run-of-the-mill, or it can exude all things luxury. Our leather blotter is designed for evoking the latter. Document CasesThe white-collar work setting is all about professionalism and presentability. Appearances especially matter during that all-important briefing or conference. Our luxury leather document cases aren’t just designed for safe document keeping; it’s also meant to impress. 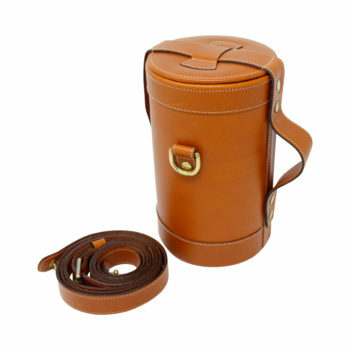 Each document case from Marlborough of England is made by hand using the finest quality leather. 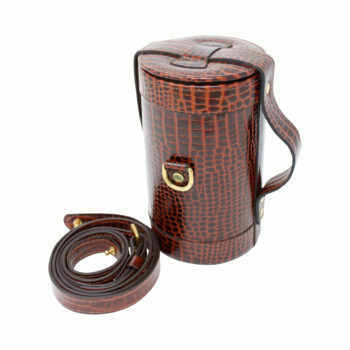 Its timeless and old-style design exudes luxury, and that charm reflects on the man or woman carrying it under their arm. The interior contains a slot for your business cards and a pen loop for that equally fancy ballpoint pen. The case is lined with Nubuck and is almost plush-like to the touch. In the centre of the flap is an English brass lock for keeping your documents safe and away from prying eyes and unauthorized access. 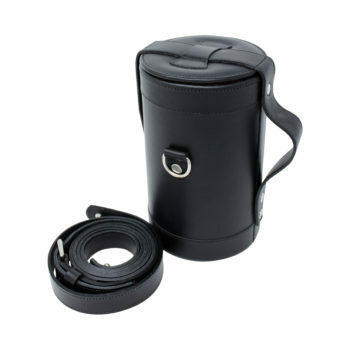 Our leather document cases provide document storage, document security, and fashion all rolled into one. Let the meeting attendees see how professional and meticulous you are when you retrieve those vital documents from a lavish case requiring a key. Large Jewellery BoxJewellery not only have a high monetary value, but some pieces are also sentimental. You want to keep these in a safe place away from dust and other natural elements. Our large luxury leather jewellery boxes are not only designed for storing that wedding ring or pair of earrings, they’re also décor pieces in their own right. Our luxury leather jewellery box from Marlborough of England is not an item you will want to stash away in the closet or drawer. With its luxurious and handcrafted design, you will want to show it off by placing it on a shelf or on top of a dresser. Each of our jewellery boxes are made from 100% leather on the outside and lined with real suede on the inside. The large box has 60mm x 140mm x 140mm of space. That’s ample room for larger jewellery like bangles, loop earrings, and long bead necklaces. Our jewellery boxes are designed for safekeeping your most prized jewellery. Their stylish design also doubles them as a decorative centrepiece for a bedroom or an open closet. Leather Business Card HolderTo expand your business, you need to expand your connections. This means you must get out there and network with people. Even in the age of social media, there’s no replacement for meeting people face-to-face and handing out your business card. It’s all about how you present yourself when making introductions to prospect clients. Every little detail from the handshake to your body language is picked up by the other person. It will sway his decision whether to do business with you. Pulling out your business card from a leather card holder gives you an additional breadth of a self-made businessman or woman. Marlborough of England’s luxury leather business card holder features a leather front panel and lined Nubuck for the interior. The metal fastener makes it easy to open or close the case with the flick of a finger. The case can hold up to 10 standard-sized cards. Our card holder isn’t just for holding your business cards. It’s designed to impress, and first impressions are critical when creating that all-important rapport with a potential future customer. Leather Kindle CasesIt’s amazing that with today’s technology, you can stuff an entire library’s worth of e-books in a device barely weighing more than a feather. The Kindle reader is quite fragile, though. Sure, there are dozens of protection cases in stores, though these are the generic variety that fulfills its function but does little more. The luxury leather Kindle case from Marlborough of England goes beyond the role of keeping your Kindle safe. Your Kindle reader fits in the case like a hand in a glove. The case is lined with smooth suede and can be easily cleaned using a damp cloth. The leather is soft on the hands yet tough enough to protect your device from physical impact. It’s suitable for everyday use and will withstand wear and tear from even the most avid bookworms. Portable electronic devices have become a fashion accessory in their own right, especially with all the different types of cases and skins. Our luxury leather case is designed to protect your Kindle while making it an item you’ll want to show off. Leather Mouse MatsYour work desk is a sum of its parts. Every component from that tear-off calendar to the half-dozen scribbled stick-it notes is a reflection of your daily affairs. The mouse pad, being one of the office accessories that sits front and centre, adds to the overall vibe of your work station. It goes without saying that an ordinary mouse pad doesn’t contribute to the vibe in a meaningful way. The average pad is made from inexpensive polyester. It performs its basic function and has a mildly comfortable surface. A Marlborough of England leather mouse mat, by comparison, is made entirely by hand from Nubuck material. This gives it a soft surface for the hands and wrist to rest on, all while providing a stable and solid area for effortless gliding of the mouse. Our mouse mat complements all types of work desks, from the small cubicle to a home office. It provides a nice contrast to a desk that may otherwise be run-of-the-mill in appearance. If combined with other premium accessories like our leather blotter, our mouse mat can turn your desk into a work station fit for a CEO. Leather Photo FramesPhoto frames are not just a décor accessory; they house your most sentimental keepsakes. The photo of your wedding or that photo of your son’s first fishing trip are tokens of times gone by that always remain in the heart. The photo frame isn’t just a case for displaying the photo; it helps draw eyes to the photo and is a decorative item in its own right. The luxury photo frame from Marlborough of England has a border made from handcrafted leather. The back is lined in silk material, giving it a pleasant-to-the-touch feel when you pick it up to admire the embedded picture. The leather frame also provides a nice changeup to ordinary frames typically made from hard material like glass or plastic. Display the frame on your office desk, coffee table, night table, or mantle to add a combination of luxury and sentimental memory to the space. It becomes the centrepiece while all else fades into the backdrop. Guests will be mesmerized by the luxury frame but then move their attention to what’s important: that priceless photo. 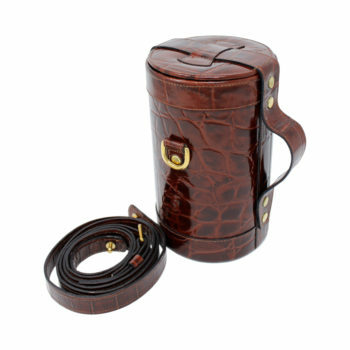 Luxury Leather BeltsA belt is a major fashion accessory; it’s seldom just for keeping your pants up. If you want it to complement your appearance, then a generic belt from a thrift shop is hardly going to cut it for making a fashion statement. Our leather belts are a staple Marlborough of England item. This means it is handcrafted from genuine leather with a brass nickel plated buckle. Every belt is stitched by hand, and no two are exactly alike. It’s also available in your choice of tan or black chestnut colour. Custom colouring is available upon request. Aside from its stylishness, our leather belts are also designed for longevity. Even if used daily, the belt will hold up and not fade, crease, or show other signs of wear. The buckle is also just as durable and will maintain its shiny brass even after years of use. The belt is perfect for casual wear like that pair of cargo shorts or rodeo jeans. It’s also ideal for formal wear like that pair of dress or tux pants. Regardless of your choice of bottoms, our leather belts will make you look like a stud! Luxury Leather WalletsUnless currency is being exchanged, a man’s wallet is almost always out of sight. Nevertheless, a wallet is a fashion accessory just as much as a woman’s handbag. You can determine quite a bit about a man just by having a quick look at his wallet. A lot of guesses can be made about a man with a Marlborough of England leather wallet. Our billfold wallet is handmade from the finest quality leather. The interior is embossed with our crown and is a mark of true English craftsmanship. This is reflected on the owner as someone who cares about the finer things in life. It’s a mark of luxury, sophistication, and grace. A wallet is never just an accessory for holding your wad of cash and cards. At Marlborough of England, we believe it’s something much more. Our luxury leather wallet is designed to impress. It’s an item the owner is proud to pull out of his pocket and show off whenever making a payment. Medium Jewellery BoxSome pieces of jewellery are worth beyond the number of zeros on their price tag. Some are heirlooms, while others were given by that special someone. These are the pieces you want to safeguard and cherish for life. These deserve to be kept in a special place. Our luxury leather medium jewellery boxes are just the place for your most sentimentally valuable jewellery. Marlborough of England’s jewellery boxes aren’t just a fancy box for storing jewellery. They’re carefully crafted by hand and never mass produced from a machine. The surface is all leather, with the interior made from real suede. With its luxurious aesthetics, you have an accessory that is every bit as functional as it is stylish. At dimension of 60mm x 110mm x 110mm, there is ample space for that wedding band, locket, or pair of cufflinks. Our items are designed for more than just their intended use. Our accessories are about premium quality, and our jewellery boxes are no exception. This is an item you want front in centre in your bedroom. Night TrayA nightstand is your personal station, and especially so in a shared bedroom with the Mr. or Mrs. You should keep the area neat and orderly for organization and appearance’s sake. This is where our luxury night trays come in; don’t settle for standard when you can settle for premium. A Marlborough of England night tray is designed for looks just as much for function. Each tray is covered in genuine leather and put together by hand from the finest craftsmen. The tray is also equally luxurious in feel. The four tray compartments are soft to the touch and provides ample space for small items like your reading glasses, smartphone, wrist watch, and jewellery items. Place our night tray on your nightstand or dresser, and you have a décor item that adds an element of high-class and grandiose elegance to its immediate surroundings. The area will not only look more presentable but it will exude the grace of a well kempt gentleman or lady. Paper TrayYour office desk is likely filled with inexpensive plastic accessories (e.g. pencil holder, tape dispenser). This gives your office a generic and cheap look. Whether it’s an office cubicle or a home office, add a chic style to your desk with a luxury paper tray from Marlborough of England. Our luxury trays are made from our factories in England and made by hand from the very best craftsmen. The tray is covered in authentic leather, giving it a luxury look. The underside of the lid is lined in Nubuck, providing a soft surface for keeping papers crease-free. Oh, and in case you’re wondering, yes, leather has a place on an office desk just as much as it does in a wardrobe closet. One look at our night trays, and we think you’ll agree. Your office is your personal space. Personalize your desk with our leather night tray. It will serve as a centrepiece that commands attention because it is just as visually stylish as it is functional. Small Jewellery BoxSome jewellery has a value beyond their price tag. Pieces like your wedding band or that charm bracelet given to you by that first love are keepsakes with a sentimental attachment. These items should be kept safe when not being worn. Jewellery should not be kept out in the open where it’s vulnerable to tarnish. Our small jewellery boxes are the perfect storage case for storing your priceless rings, earrings, and necklaces. Every jewellery box bearing Marlborough of England’s signature is made by the hands of the very best craftspeople. The surface is covered in the best quality leather for a sophisticated look. The interior, with its lined suede, is equally as elegant and provides a plush surface for your most precious jewellery items. Our luxury jewellery box isn’t meant for the closet. With its lavish design, this is one item you will want to show off and display front and centre on your dresser or night table. It will add an aura of high-class to its surroundings. Stationary RackYour personal office desk can be ordinary or it can be classy. Our luxury stationary rack is designed for bringing about the latter. Our paper holder is not just a plain stationary rack; it’s a deluxe accessory intended for creating a work area you can be proud to call your personal office. Every luxury stationary rack from Marlborough of England is made by hand and lined in Nubuck with two padded compartments. Store that all important memo or handwritten correspondence; the rack’s soft padding will keep the papers free of creases. Combined with other premium accessories like a paper tray or desk blotter and your station will have all the hallmarks of a CEO’s private desk. Our luxury stationary rack is a décor piece in its own right. It is designed for the sophisticated gentleman or lady that appreciates the small handcrafted details of a luxury item. Keep our lavish stationary rack on your home or work office, and your whole desk surface will look absolutely stunning. Sterling Silver PensIn a way, your handwritten signature is an imprint of your unique identity. This is why signing your name on an all-important document shouldn’t be done on any run-of-the-mill pen. Add an exclamation factor with every signature by signing with a luxury sterling silver pen. When you sign off on a document using a Marlborough of England pen, colleagues will know you mean business. Our pen is made from the best quality sterling silver with a leather shaft, providing a comfortable grip for your fingertips. An equally lavish wooden storage box with interior and exterior leathering on the lid is included. The case is practically a display unit; keep it on your desk or present the pen and accompanying case as a corporate gift. Our sterling silver pen isn’t just a writing instrument; it’s designed for making a statement when you sign off on that proposal or those acquisition papers. With pens being such an inexpensive and abundant office commodity, we designed our pen to represent the opposite – luxury, premium quality, and royalty. Travel TrayWhen traveling, you want to be sure you have all the essentials in your bag. This doesn’t mean, though, that you can’t also travel in luxury and style. In fact, you can do just that with our luxury travel trays. Perhaps you’re spending a few nights in a hotel, or decided for homestay accommodations. Whether it’s for a single night or a fortnight, why not add a luxurious feel to your nightstand? Marlborough of England’s luxury travel trays are portable and easily fits into your bags. The tray helps keep your items neatly in place, such as your reading glasses, writing utensils, key card, and mobile phone. Our night trays are made from leather and put together individually by hand. The tray contains four compartments with a soft leather surface. While they’re designed for travel use, they’re also just as suitable for the home and office. It’s so easy for small but valuable items to become misplaced during your travels. With our leather travel tray, you have a single location for organizing essential items that you cannot afford to lose at your home away from home. Dog Collars & LeadsA dog collar and lead is a must-have if you want to bring your pets into a city. In the countryside, the dog can run wild and free, chasing rabbits, squirrels, and even its own tail without inhibition. But in the city, surrounded by people and vehicles, you need to keep your dog on a lead—as much for its protection as well as for the protection of your fellow citizens. Marlborough of England has a wide selection of dog collars and leads to choose from. We have all the options you need, according to your style. With our dog leads, you get both durability and fashion. Our leads and collars are made from the highest-quality leather in the UK, and they have been hand-crafted to guarantee reliability. The traditional elegance of leather will make your dog look stylish as you walk down the street together. Best of all, the leather collar and lead are built to withstand years of use without fraying or breaking. If you want a top-quality dog collar and lead, you definitely want Marlborough of England. We make it our mission to combine form and function! Leather Dog CollarsOur stunning range of dog collars and leads have been designed and hand made in England in our workshop using the highest quality of Leathers, All collars come in a black presentation box and a silver logo with our signature brand. Leather Dog LeadsOur stunning range of dog collars and leads have been designed and hand made in England in our workshop using the highest quality of Leathers, All collars come in a black presentation box and a silver logo with our signature brand. 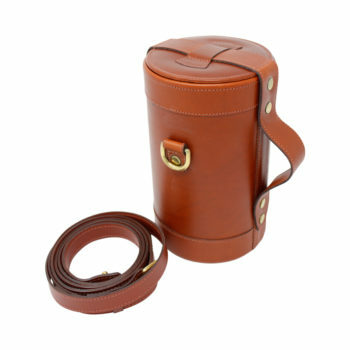 Leather Game BagsGame bags are a must-have if you are planning a hunt. A game bag makes it easier and can reduce the messiness of carrying your prizes. Once you’ve brought the game down, you’ll want a game bag handy to store and transport it in. WalletsUnless currency is being exchanged, a man’s wallet is almost always out of sight. Nevertheless, a wallet is a fashion accessory just as much as a woman’s handbag. You can determine quite a bit about a man just by having a quick look at his wallet. Hip FlasksHow do you stay warm on those chilly autumn or winter nights when you’re out with friends, taking in a concert, exploring your city, or simply enjoying the great outdoors? A hip flask provides you with a simple, companionable way to drive away the chill. Country LivingLife is different, more elegant in the country. There’s no worries about the hustle and bustle of city life, and everything moves at a much more relaxed pace. Cartridge BagsHunting is one of the traditional British countryside pastimes. It’s a thrill to get out into the countryside for deer stalking, pigeon shooting, and wildfowling. Field sports in England are a luxury that you are fortunate enough to enjoy. It’s important you have everything you need to engage in the field sports. Cartridge BoxIf you’re an outdoorsman looking for quality hunting equipment, you’ve come to the right place. Our luxury leather cartridge boxes are the ideal way to carry all the cartridges you need for your hunt, but in traditional British style. Gun SlipsHunting is a wonderful pastime! It’s a marvellous way to enjoy the great outdoors and test the skills passed down from generation to generation. Gun Licence WalletIf you plan on hunting, you need to first obtain a gun license. Without a license, you won’t be able to own, transport, or use your gun for hunting. The good news is that shooting sports are common and popular in the UK, so it’s not as difficult to obtain a gun license as it once was. Luxury Leather Travel WalletsA travel wallet can be a traveller’s best friend! Your regular wallet is designed to hold all your important items: IDs, credit and debit cards, membership cards, cash, etc. But when you’re traveling around the world, a lot of those items will no longer be useful. Instead, you’ll need to carry other documents: travellers’ checks, passport, visas, travel permits, etc. 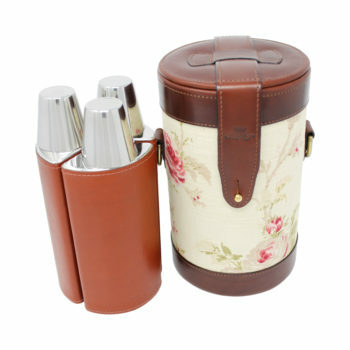 Leather Thermos Flask and Carry CaseThere are few things as delicious as a piping hot mug of tea or coffee first thing in the morning. The rich, fresh flavours of a good brew are incomparable, and nothing makes you feel as warm and cosy. Small Cups and CasesWhen you’re outdoors—on a picnic, hunting, or hiking through the woods—it’s always handy to have cups. Instead of carrying individual water bottles, you can carry just one large container of water and use the individual cups to serve each person. Medium Cups and CasesAre you the sort of person who packs cups when they go on a picnic or hike? Plastic cups are a lightweight option for those who want to drink water, beer, wine, or liquor while out and about. However, plastic can pollute the environment and increase your carbon footprint. Golf GiftsIf you know a golfer, you’ll love the gifts we have for them! Harris Tweed Wash BagWhen you travel, how do you carry all of your important toiletries and cosmetics? Do you simply stuff them into your luggage, or do you bring them all in a wash bag? A wash bag makes it much easier to keep all of your personal care items organized and in the same place. Love discounts? Sign up and get them straight to your inbox!